The Pirates selected Herman with their 30th round pick on Wednesday. When the 2018 Major League Baseball draft began last Monday, Eastern Regional High School senior outfielder Jack Herman had no idea what to expect. Herman said he initially expected to be taken anywhere between the seventh and the 15th round. However, as the 15th round came and went, Herman was still waiting. Finally, last Wednesday afternoon, Herman’s name was called, as the Pittsburgh Pirates selected him in the 30th round of the draft. Herman said the Pirates were in contact with him as day three of the draft opened, but he had no idea what was going to happen. He was surprised when the pick was announced, saying he had been texting with friends when his phone became bombarded with notifications saying he’d been drafted. A representative from the Pirates called him shortly after. Being selected in the MLB Draft is the latest milestone in Herman’s stellar baseball career. Herman was a major part of the Eastern’s success over the past four years and he broke numerous records. During his sophomore year, he mashed 52 hits and nine home runs, setting single-season program records in both categories. Herman’s number dropped during his junior season and he missed a few games due to a shoulder injury. However, Herman was able to recover and put up outstanding numbers in 2018. “I just had to take it as it is, accept that I missed a couple days and get back to where I was before,” Herman said of his injury. This year, Herman broke Eastern’s career hits record of 139. Davis Schneider set the career hits record just one season ago. Like Herman, Schneider was also drafted into Major League Baseball and opted to go pro with the Toronto Blue Jays organization. 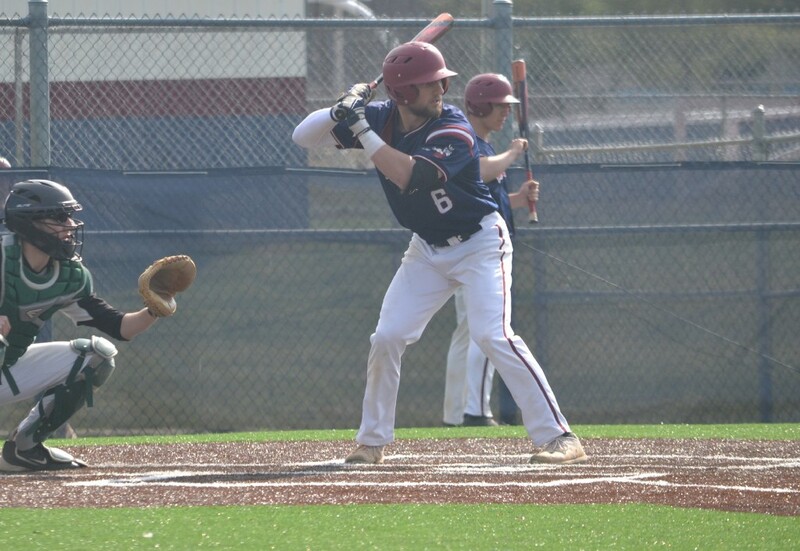 Two days prior to being selected in the draft, Herman’s high school career ended on a high when he scored the winning run for the Vikings in a 4–1 win over St. Augustine Preparatory School in the championship game of the Diamond Classic. Herman scored the game’s go-ahead run in the eighth inning. Herman knows he has a lot of work ahead of him, but he is determined to prove everyone he can play at the next level. “I’m going to work hard and show everyone what I can do,” Herman said.